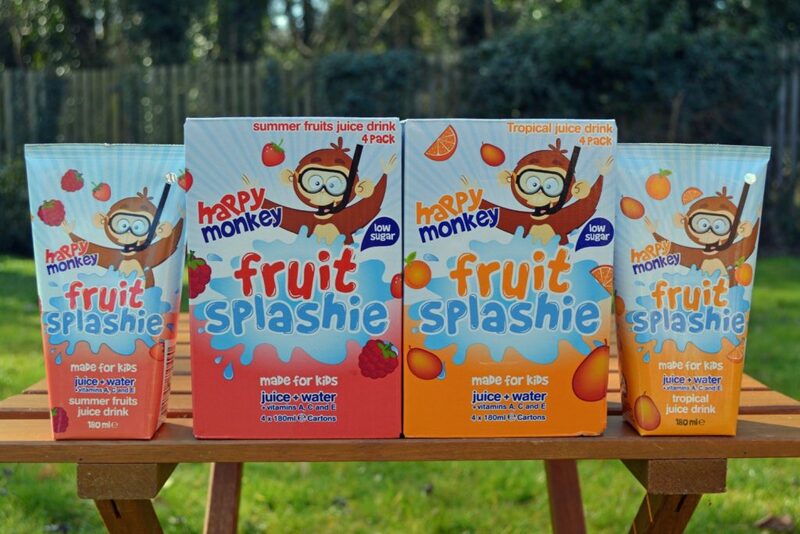 We have a brand new addition to the Happy Monkey family (drum roll please) Fruit Splashie!!! Juice + water + vitamins A, C and E in two great flavours – Tropical and Summer Fruits. On sale now in an Asda near you. Give ’em a try and let us know what you think guys!